Robin “Bijou Star” Sadler is a multimedia personality, motivational speaker, entrepreneur and philanthropist. Bijou can be heard daily 10a-3p as the Midday Host on WENZ Z107.9FM in Cleveland OH. She exudes poise and passion, as she connects and captivates audiences through a unique communication style formulated from experience, education and just being herself. Bijou is affectionately known as “Glam Star” by friends and fans alike because of her love for fashion and everything GLAM! Bijou received her undergraduate degree in Broadcast Journalism from Howard University’s prestigious John H. Johnson School of Communications. It was there that she cultivated her gift for the media arts, working with and learning from numerous media trailblazers in several mediums. Upon graduation from Howard, Bijou defied the odds and landed a coveted on-air radio position in her hometown on Cleveland’s WENZ 107.9FM. After spending 5 years with Radio One Cleveland, Bijou continued her radio career in Detroit and hosted the Midday show on WGPR 107.5 FM. Now as fate would have it, Bijou is back in her hometown with her original radio family at WENZ 107.9FM. In addition to radio, she was host and executive producer of the critically acclaimed weekly lifestyle and entertainment television show, “Nu City View.” Bijou also has an avid internet following and has created and run successful blogs and is a Youtube personality. Bijou’s infamous celebrity interviews have been heard and seen by millions via the radio, internet and television. She has interviewed such celebrities as Will Smith, Mariah Carey, Chris Brown, Kelly Rowland, Iyanla Vanzant, T.I., Jamie Foxx, Russell Simmons, Nelly, Janelle Monae, Mase, and Common. 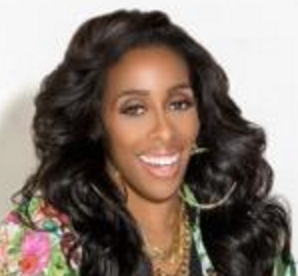 Her interviews have been featured on VH1’s “Basketball Wives” and numerous websites and blogs including . WashingtonPost.com, Billboard.com, MTV.com, BET.com, Vibe.com, Complex.com and GlobalGrind.com just to name a few. When Bijou is off the mic or screen, you can find her engaged in public service by volunteering and giving back in her community. A natural motivator, Bijou finds her greatest joy empowering and mentoring and is the founder of SHINE Girls Initiative, a teen mentorship program. Bijou is also the creator of “The Best Christmas Ever” annual toy drive where she collects and donates toys and funds to local homeless shelters. As a Breast Cancer Awareness Advocate she is the creator and producer of “I’m A Survivor”: Breast Cancer Awareness Fashion Show, an annual charity event in honor of her mother, a two time breast cancer survivor. Bijou is a strong believer in her faith. She is living proof of the power of prayer and knows she has been blessed beyond measure. Bijou lives everyday in her true purpose using her platform and resources to promote and expose people to all things positive. Her goal is to motivate and empower individuals to also live purposeful lives and most importantly to remember it’s never too late to answer your calling and live your dreams.